Police are seeking witnesses to an incident in Hastings last Wednesday (November 21) in which a cyclist sustained serious facial injuries. It happened at 7.30pm at the roundabout junction of Elphinstone Road and the A2101 Queens Road after the cyclist apparently lost control on a downhill descent and struck railings. Police said the 34-year-old man suffered a broken nose, black eye and a cut to his head that later required stitching. He was taken by ambulance to the Conquest Hospital in St Leonards. 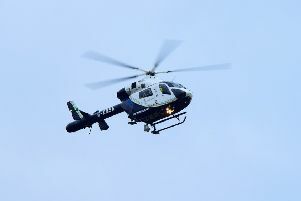 Sussex Police said several people stopped to help the man and officers wish to talk to anyone who saw what happened or who noticed him riding the bike shortly beforehand. They are asked to contact police online or alternatively call 101, quoting serial 610 of 21/11. Responses from any drivers with relevant dash-cam footage would be particularly welcome.